Winter is finally here in the KZN Midlands and with that means crystal clean, cold water, with limited insect life. That been said you will still find midge hatches. Best match the hatch then! - Wrap the peacock herl in covering the thorax up to just behind the eye. 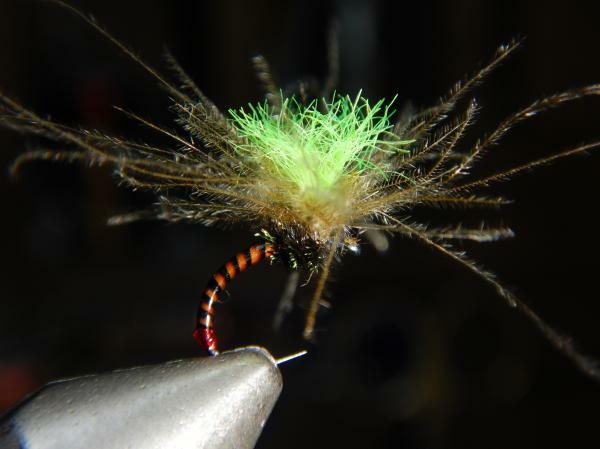 - Place two matching CDC feathers on top of each other and strip the fibers from the one side. Cut off the nasty pulled pieces leaving 3mm from your fingers. - Wrap the loop around the post from top to bottom while gently pulling the CDC fibers upward and not trapping any. Tie in the end behind the eye and you are done. - Preferably in riffle, the edge of a riffle or in a wind lane.